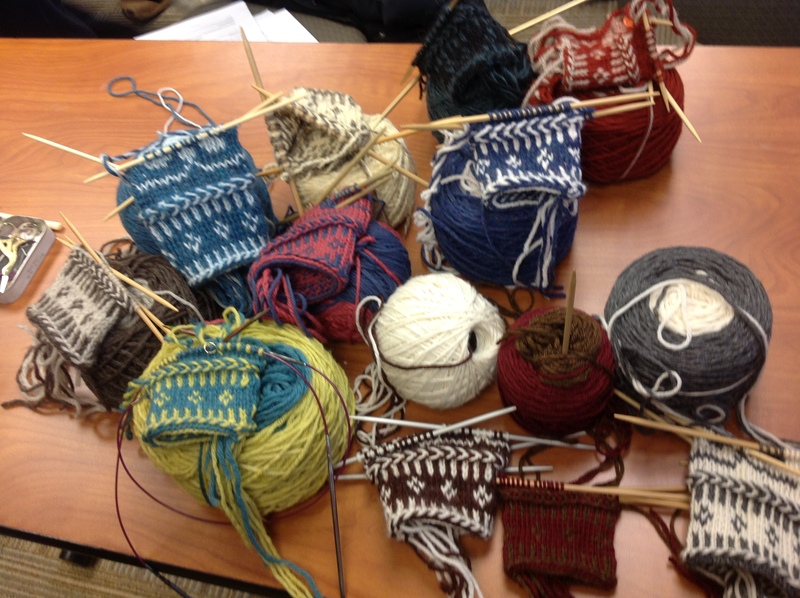 Last weekend I took a class from Beth Brown-Reinsel on twined knitting. 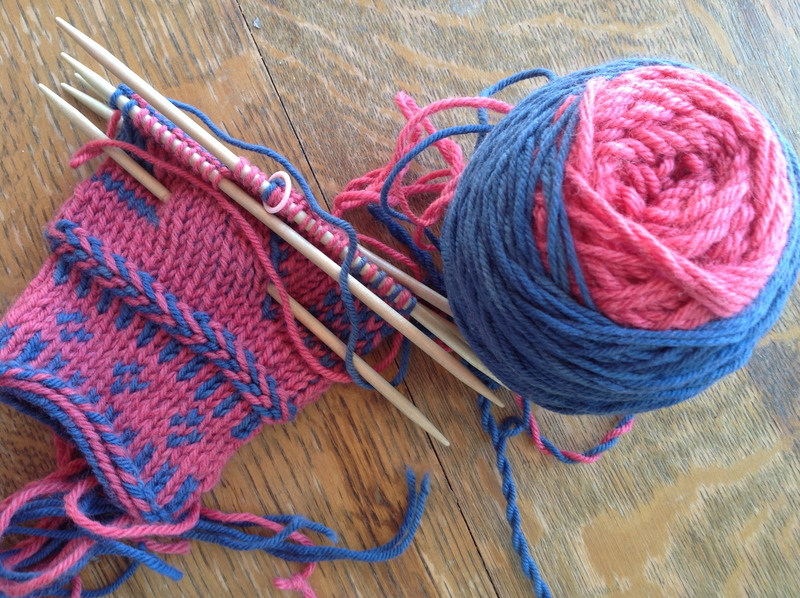 We had to wind center-pull balls to use in the knitting of twined fingerless mitts. Years ago I had taken a class on knitting Gansey’s from her at Stitches Midwest. She is a really great teacher, and a really wonderful person also. I knew that the class would be good, and this was a technique that I had been wanting to try for a long time. I am not sure that I would have been able to knit this from a book or website (maybe my good friend Manning would have, she is better at that than I). Twined knitting was invented in Sweden and is also called Tvåändsstickning which is Swedish for Two End Knitting, it has also been found in Norwegian and Danish garments. This technique, in which you use both ends of the same ball of yarn and twist the strands between each stitch, produces a firm, wind-resistant fabric that’s ideally suited for mittens, hats, socks and used on cuffs of sweaters. While there are examples of sweaters knit entirely in twined knitting, the fabric is not as elastic, and I think better reserved for the areas or objects that get a tremendous amount of wear. It can be done with one color or as 2 or more colors. The key is to “lock” the center pull ball in place and let the twist gather between your knitting and the ball of yarn. When the twist gets to be too much to work with, you unwind the ball by holding it in the air and separating the two strands, the ball will spin until all of the twist is taken out. For those of us old enough to remember telephones that were attached to the wall with a long cord, remember holding the cord and letting the receiver spin to take the twist out, same concept. This style of knitting gives a very durable fabric, and the inside has the look of a corrugated cloth. I almost finished my first mitt.